On Sale. Limited Time Special Offer. 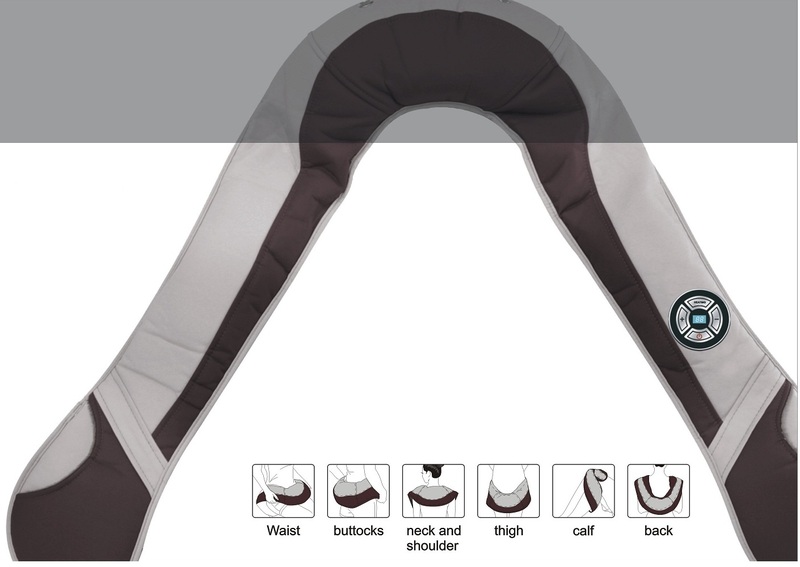 This amazing Brand New 3Q DELUXE NECK & SHOULDER MASSAGER with HEATED THERAPY is the first class massager specially designed to relieve severe tightness, soreness, and pain on shoulder, upper back, lower back, buttock, thigh area, especially for those hard-to-reach muscles around neck, back and shoulder. This new design, quality blender is impressive, unique, modern, stylish, and elegant new version. With five exchanged modes of taping/beating massaging and eight different intensity automatic procedures and heat function, the 3Q new high quality massager lets you add soothing heat in front with the push of a button while letting you easily raise or lower it along your neck, shoulders and back for deep-down relief right where you need it. The vigorous, rhythmic percussion massager deeply penetrates aching muscles, easing tightness and helping you feel relaxed all over. 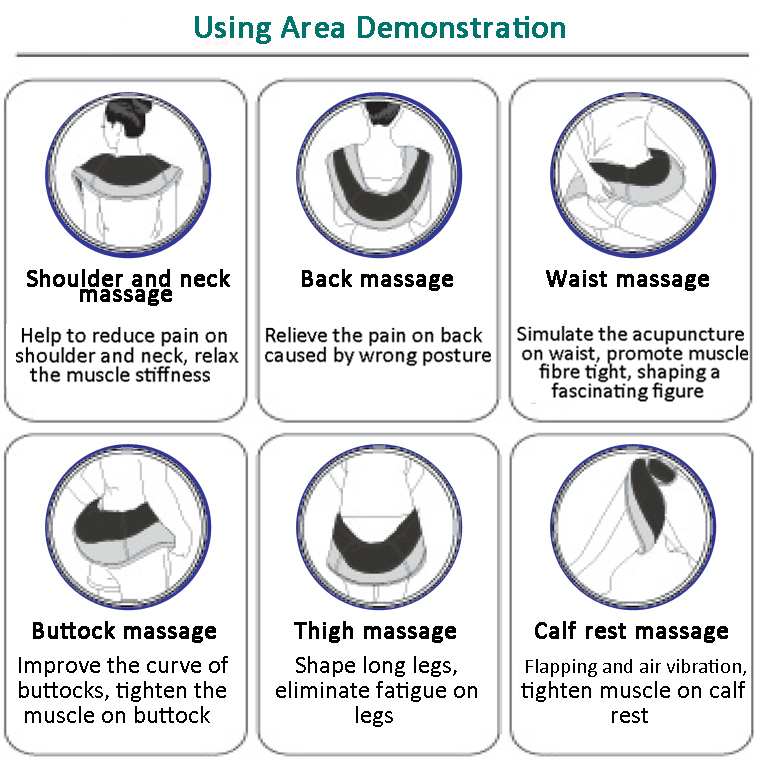 Relieve severe tension, soreness, and pain on those hard-to-reach muscles around neck, shoulder, upper and lower back, hip, thigh and legs . Five exchanged modes light, heavy, fast and slowly supplied your requirements. Eight different massage intensity levels automatic procedures. Safety temperature control system design. Overheat protection. Made of high quality special grade flexible PU, anti-friction, good ventilation, beautiful and practical. - Durable, Soft, Light, comfortable and compare other neck shoulder massagers.
. Bigger, Bright and Shining - First class quality, longer life time. Easy for heat dissipation to protect controller.
. The joints is Computer clicks.
. Small, look grey - short life time.
. The joints is industry glue. Rec'd massager today. It has a strong tapping and is a great machine, however I am five foot two and it is too big for me. It does not touch the neck at all. It only taps on the shoulder area. It does not rotate up the neck. But it is a great machine. I wished it came in sizes s,m,l. I can see this would be great for a man with a big back and shoulders. It is heavy which helps to make it penetrate when it taps. I want to marry this thing! Best massage I've ever had from an electronic item! The tension in my neck and shoulders was gone after about 8 minutes using this. The only drawback, and just slight, is the weight of it. Seemed a bit heavy to wear at first on the shoulders (reminded me of those heavy vests they make you wear for a chest x-ray), but the results more than made up for it. Felt like more than 7 pounds when I first put it on. Be aware that it's not a vibrating massage. It's a pulsing, beating massage (kind of like those masseuses who karate chop or sort of punch rather than just rubbing) with multiple speeds that you can set...starting at gentle. I was afraid the chord would be really short and I'd need an extension chord, but it is a good length. I would definitely recommend this product, except to frail people who may not be able to handle the weight due to whatever physical limitation. 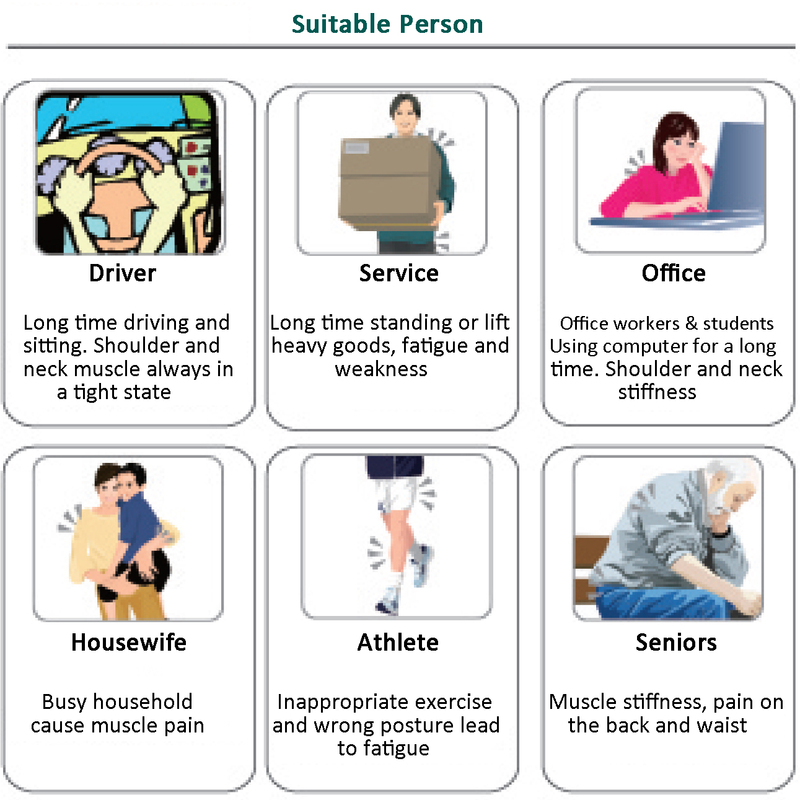 If you have a shoulder injury or something, it may be too heavy to be comfortably worn. So far, so good. This product helps with muscle pain by relaxing the muscles. Combined with exercises, it helps me keep my back in place. I love this product! Thank You for the quick shipping also! I am a lover of massage and have a problem with muscle tension and all I can say is this is the BEST massager I have ever had. One reason is because I can massage so many parts of my body myself and don't have to rely on someone to do it for me. It gives a deep and thorough massage. BRAVO! It does loosen up my neck when I get kinks in them that are very hard to get out otherwise. I bought this because often my muscles and my boyfriends muscle are sore from a busy week of work and doing things around the house I hightly recommend this product. It has great massaging power. Not best for those who don't like the "thumping/needing" massages. I love it and would buy it for friends. I BOUGHT THIS BECAUSE I HAVE BACK AND NECK PROBLEMS I REALLY ENJOY HOW IT MAKES ME FEEL. I WOULD RECOMEND THIS TO A FRIEND. Click the button below to add the 3Q Deluxe Neck & Shoulder Massager with Heated Therapy to your wish list.